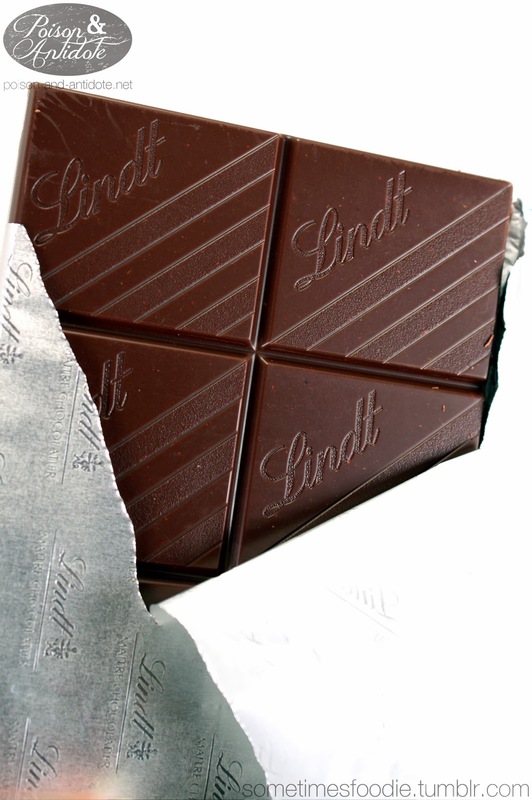 I’ll skip my usual packaging critique since all three of the Lindt bars I picked up look so similar. If you want to see my review of the packaging check it out HERE with the coconut review. 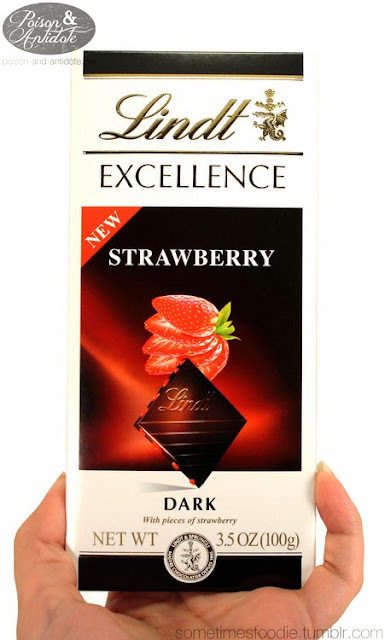 I love strawberry candies, but I haven’t had much luck with strawberry flavored chocolate. Most of the time the strawberry notes are too perfume-y and the candy ends up tasting like a flavored Chapstick. (Yuck.) Maybe this bar will finally be different? Sadly, this chocolate bar smells a little perfume-y. (Which isn’t a good start.) There are some fruity notes that remind me of strawberry jam, but they are easily overpowered by cocoa powder. The chocolate itself has a faintly perfume-y taste too. (Boo!) 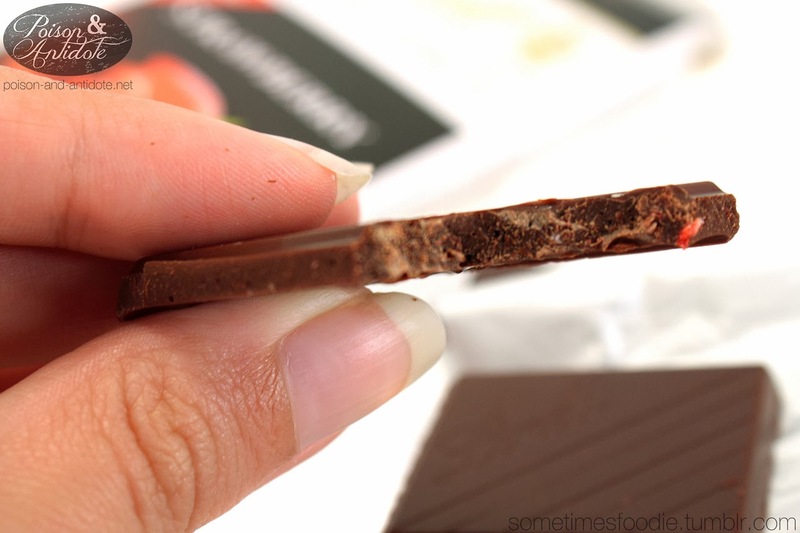 Thankfully, the add-ins really save this bar from being another failed fruity chocolate. Alone, the dried strawberry bits have a bright, fruity, flavor that I absolutely love. 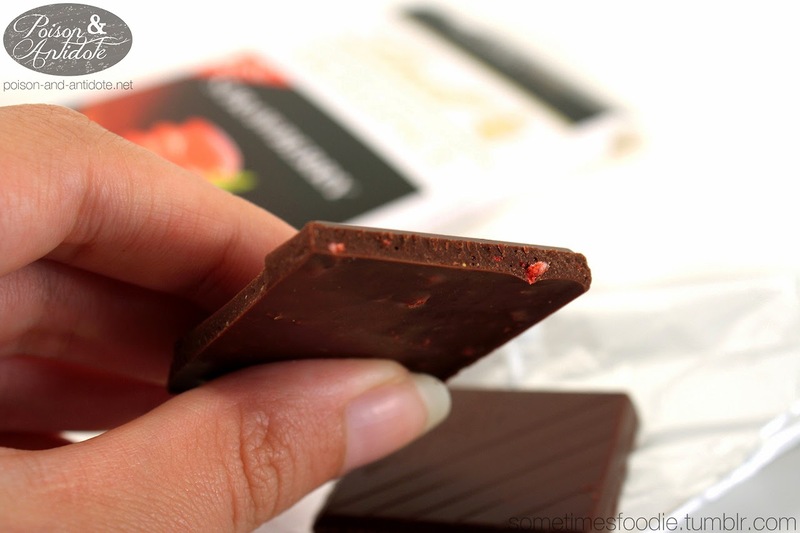 The best way to eat this chocolate is to let it melt on your tongue, that way you can get the most of the berry flavoring. Although it isn’t perfect, this is the closest I have gotten to accurate strawberry flavoring in a chocolate bar. If you like strawberry flavored chocolate then you’ll love this. If you’re like me and hate perfume-y chocolates, this is the best I have tried so far.